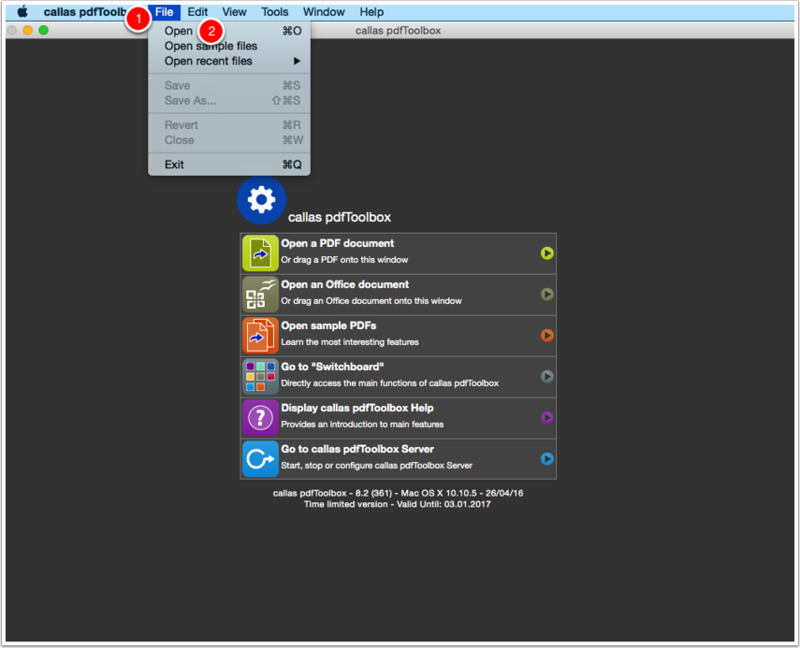 pdfToolbox 8.2 includes a new profile for color conversion and a device link for the new PSO Coated v3 ICC profile. The third version of Process Standard Offset was introduced in September 2015. 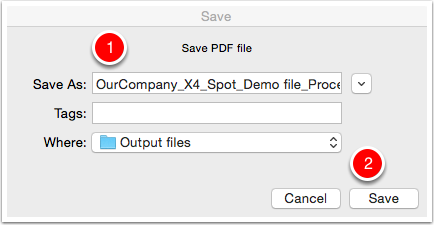 Click "Open" to launch the file load dialog box and navigate to the folder where the input PDF file "OurCompany_X4_Spot_Demo file.pdf" is located. 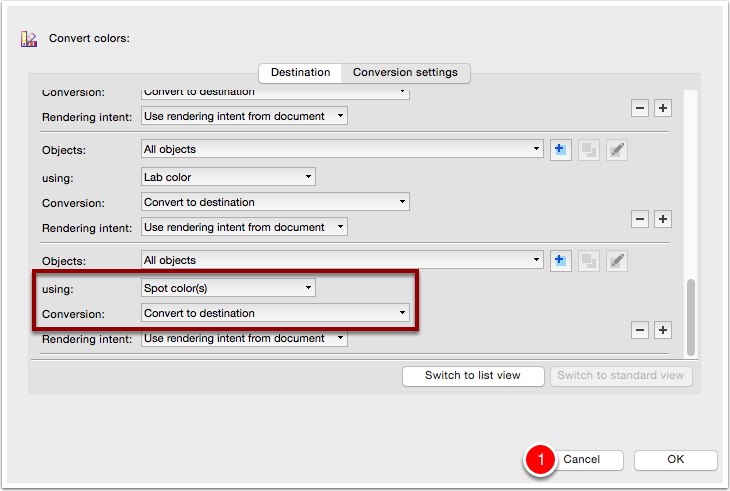 In the search field search to "Convert color to PSO Coated v3". 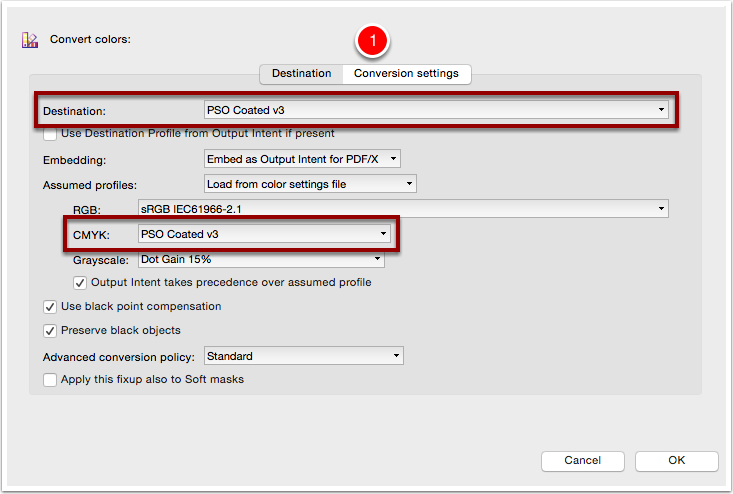 Select "Convert color to PSO Coated v3 (ECI) (convert spot colors to CMYK) v8.2". 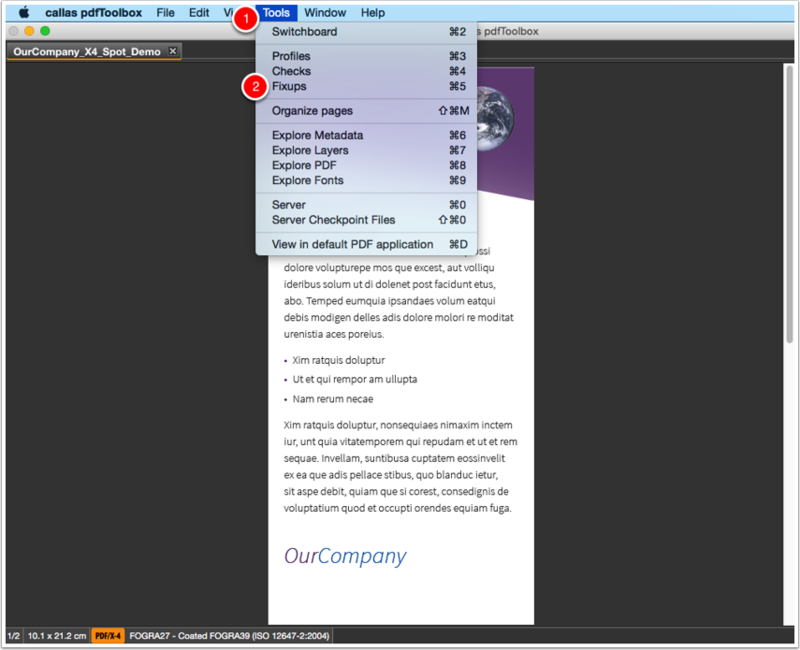 Click "Edit" to review the Fixup. 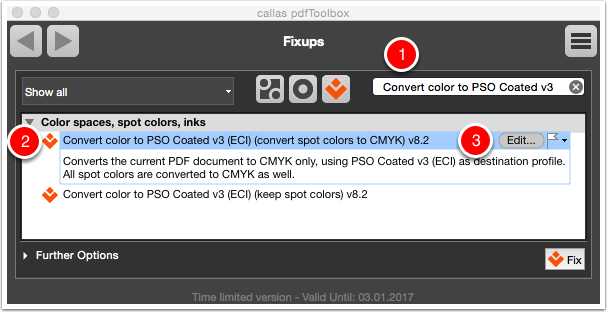 NOTE: pdfToolbox 8.2 provides two Fixups for the color conversion to PSO Coated v3. The first Fixup transforms the spot colors to CMYK, the second keeps the spot colors. In the "Destination" and "CMYK" part, the ISO profile "PSO Coated v3" is applied. 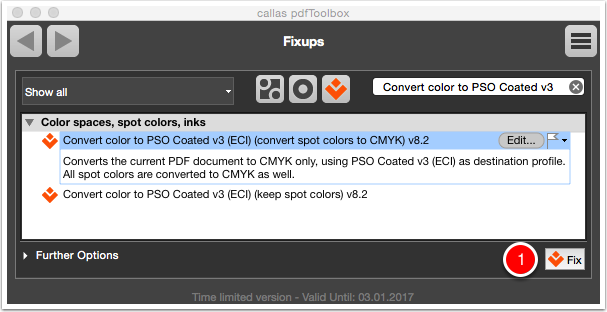 All the spot color elements in the PDF will be converted to CMYK "PSO Coated v3". A green check mark is shown, refers to a successful correction. 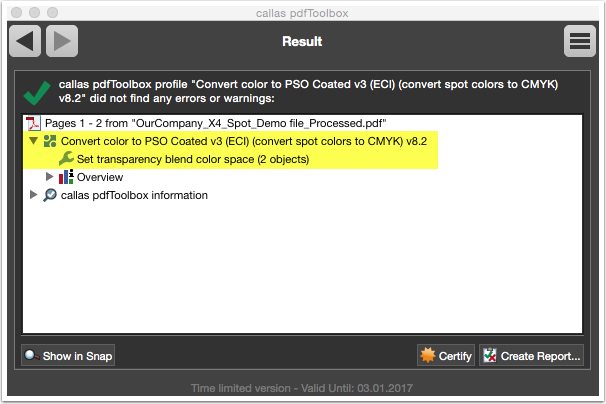 All spot color elements in the PDF file are converted to CMYK "PSO Coated v3".